Feb. 1, 2019, 8:46 p.m.
By Nicholas Quah Feb. 1, 2019, 8:46 p.m. If I had a podcast, this is when I’d drop an emergency pod, because this is Kristaps Porzingis-level. Recode’s Peter Kafka and The Wall Street Journal’s Ben Mullin and Anne Steele both fired out the story Friday evening that Spotify, the Swedish music streaming company, is apparently in “advanced talks” to acquire Gimlet Media. Both articles cite sources familiar with the matter, and it’s worth noting that the situation remains somewhat fluid. If you’re looking for a yardstick, we can probably talk about Scripps’ 2015 acquisition of Midroll Media (since rebranded as Stitcher) for $50 million, plus another $10 million based on milestone achievements. But more appropriately, we’d have to talk about iHeartMedia acquiring Stuff Media for $55 million, which comps better because that’s a platform-ish company acquiring a straight-up content company, which is what we’re seeing with this Spotify–Gimlet situation. Gimlet Media presumably doesn’t need any introduction here, but just in case: It’s the Brooklyn-based podcast company founded in 2014 by former This American Life staffer and Planet Money co-founder Alex Blumberg and former WNYC producer/BCG consultant Matt Lieber. It’s (a) responsible for shows like StartUp, Reply All, and Homecoming, and (b) has become the somewhat polarizing venture-backed poster child for the current wave of podcast industrialization. Spotify, in case you need reminding, has been getting up in podcasting’s business quite a bit for a while now. In fits and starts, it has attempted to carve out a proper podcast presence within its platform over the past few years. It initially functioned as a modest closed distributor before evolving into its current iteration: an exclusives-driven strategy (largely via talent deals with folks like Amy Schumer, Joe Budden, and Jemele Hill, though shout-out to Dissect) built on top of a more traditional “open-ish” podcast distribution system. 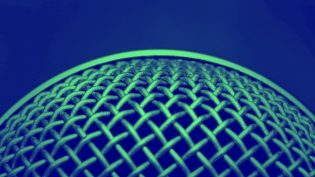 Last month, the company signaled stronger intentions with podcasting, disclosing through a minor press push that it’s been experimenting with selling ads on its own podcasts since mid-2018 and is currently exploring the possibility of building out its own ad insertion tech. I wrote about Spotify’s podcast adventures and prospect during that push, and raised a ton of questions of how a Spotify podcast strategy would work. I’m not going to toot my own horn here…oh, what the hell. Here’s one point I raised: “Given Spotify’s content-led strategy, what are the odds it’s going to straight-up acquire one or more podcast content companies in the near future? (If I were a betting man, I’d probably take that bet. )” Gimme my money. Don’t forget that Gimlet and Spotify have worked closely before, applying a windowing arrangement around Crimetown Season 2 and Mogul. Here’s my gut: I can’t help but feel that there was some inevitability to Gimlet being acquired. Being a venture-backed company, it entered existence under pressure to realize some considerable return for its investors — growth and conclusion were written into its DNA, not independence. Combine this with the fact that Gimlet specializes in resource-intensive, often limited-run seasonal programming and it doesn’t feel like there were many pathways for the company to develop a business model that isn’t super risky. Now that it’s going to be ingested into a larger entity with its own (mature-ish) business model, it can stand to keep doing what it’s good at doing without the attendant pressures of needing to revolutionize the seasonal podcast business model on their own. One thing I’m going to be thinking about: How does Gimlet’s staff — which now numbers well north of hundred — integrate into Spotify? Who stays, who leaves? How will shows be situated within the company? I hope they make a StartUp season about this. Come on now. POSTED Feb. 1, 2019, 8:46 p.m.
Quah, Nicholas. "Spotify is in “advanced talks” to buy Gimlet, at a price the podcast industry has never seen before." Nieman Journalism Lab. Nieman Foundation for Journalism at Harvard, 1 Feb. 2019. Web. 23 Apr. 2019. Quah, Nicholas. "Spotify is in “advanced talks” to buy Gimlet, at a price the podcast industry has never seen before." Nieman Journalism Lab. Last modified February 1, 2019. Accessed April 23, 2019. https://www.niemanlab.org/2019/02/spotify-is-in-advanced-talks-to-buy-gimlet-at-a-price-the-podcast-industry-has-never-seen-before/.